﻿ 23 Lovelane Penang Hotel (Malaysia) | FROM $92 - SAVE ON AGODA! "This is a beautiful hotel." Have a question for 23 Lovelane Penang Hotel? "It was a comfortable stay at 23 Lovelane." "Old world charm building and decor, spacious room, and excellent services by the staff." 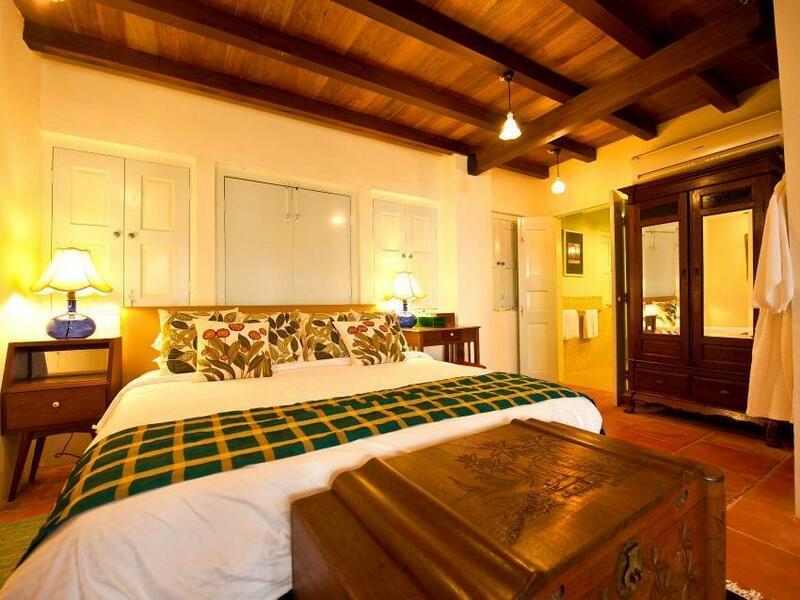 "Memorable stay for a day and night re-living the simple comfort of the colonial days." "Perfect to soak up the experience of old world charm and the..."
All 10 rooms in this 5-star hotel are tailored to satisfy guests' needs. Included in all rooms are an ironing board, air conditioning, LCD/plasma screen television, and wireless internet access. Also to be found at the hotel are airport transfers, laundry service/dry cleaning, Wi-Fi in public areas, disabled facilities, and a garden. 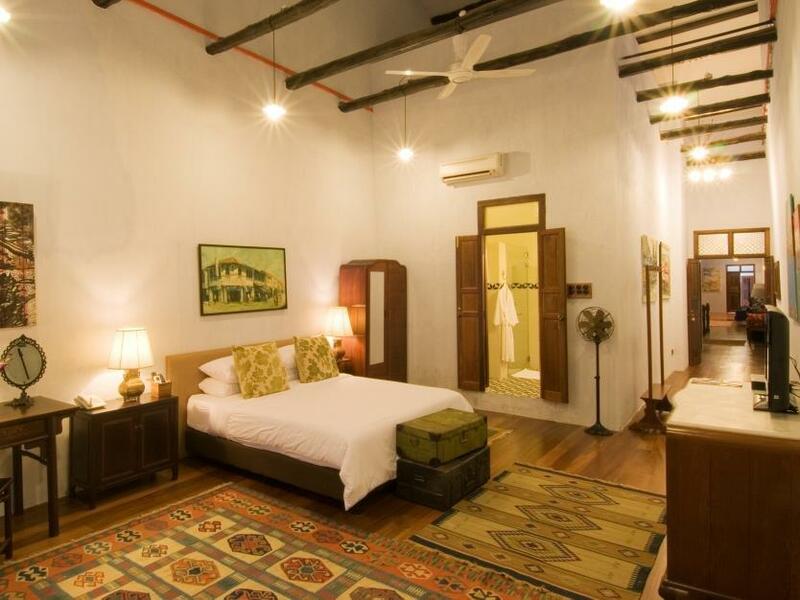 A stay here puts you five minutes away from such attractions as the Cheong Fatt Tze Mansion, Penang Museum, and Upper Penang Road. With its commitment to service and focus on hospitality, you'll enjoy your stay at 23 Lovelane Penang Hotel. "This hotel looks absolutely awesome from the outside." 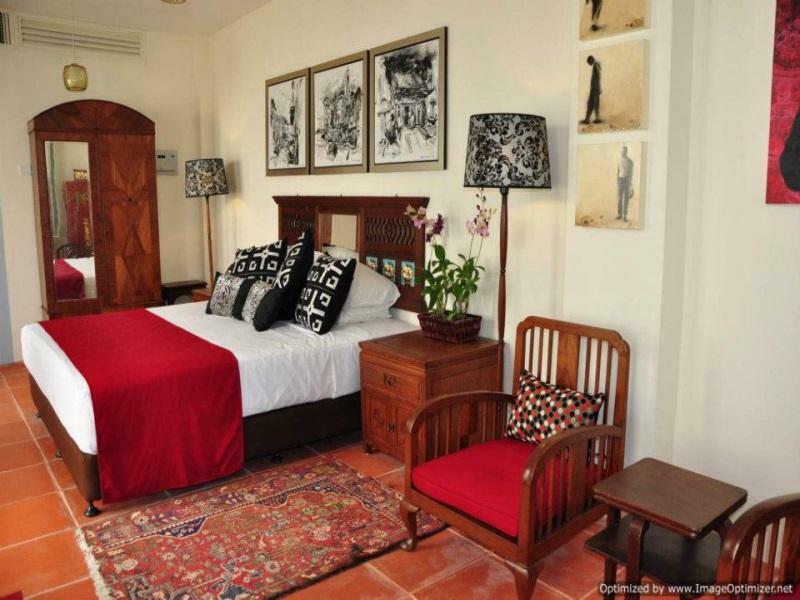 A lovely boutique hotel which is beautifully decorated with lovely decor and artwork. My room was big and comfortable with a nice bathroom but i did not get the room that I had booked through Agoda. I booked a room on Stewart Lane but was given a room in the main house. It's in a great location with sites, bars, restaurant, street food a short walk away. This is a beautiful hotel. Each room is decorated with unique art that gives the place an excellent vibe. Set in an old mansion that is intricately renovated, the hotel is a perfect encapsulation of what Georgetown has to offer. Also, a great staff! Location were great as there are many pubs along Love Lane. Legacy Spa nearby were also great. We have booked the Steward Suite which is about 45 secs walk from the main lobby. 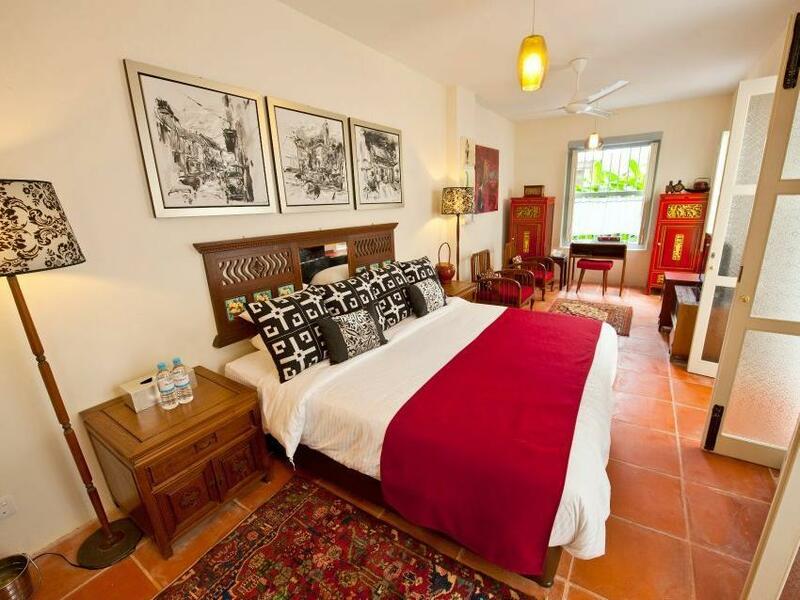 It is a separate shophouse with a living room, kitchen and Jacuzzi at level 1 and the bedroom at level 2. The only bad point is my booking with Agoda did not properly go through to the hotel and I did not get the Steward on the 1st night, instead have to settle with a smaller jackroof room. I was not able to get an refund due to my direct payment is to agoda instead of the hotel. My son loves this place so much, especially for the morning breakfast with fresh juice and teatime with biscuit, and unlimited supply of banana. He felt the stay like home, worthy for a cozy place for children. We had a really spacious 2-floor space. It gave us such a really cool experience of a shophouse stay. It was clean and the attention to our needs like chilled water, coffee and tea were all available in the kitchen. We spent a tonne of time snuggled up in the couch upstairs netflix-ing on the huge TV. It was a really great stay! I stayed at this little gem last year and just loved it, I came back with my wife this year and she too just fell in love with it, the rooms are spacious and designed beautifully, wonderful art work, throw carpets, comfortable bed huge bath room. The staff is great, very cool guys. the exterior is like an art museum gorgeous plants sitting areas old furniture, books of Penang everywhere to look at. They will help you arrange all your touring. Just a delightful stay. 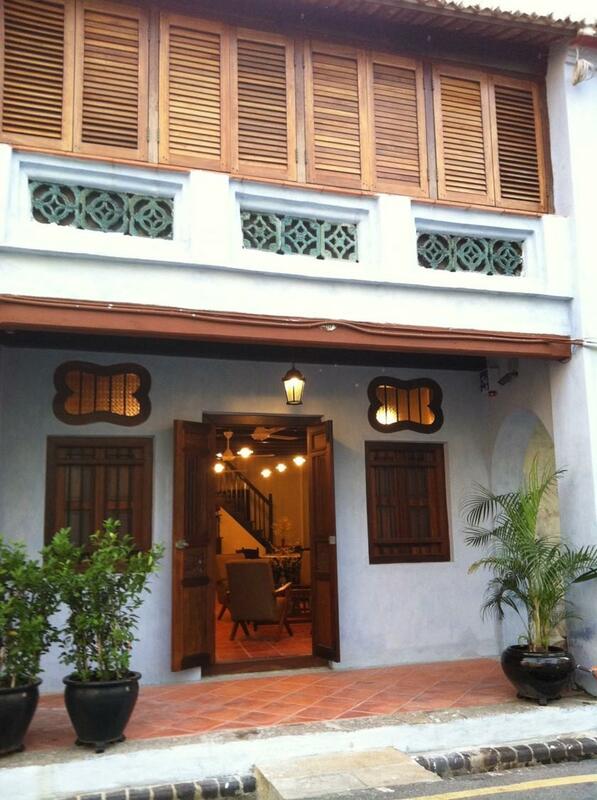 23 lovelane is located in the heart of the heritage area of George Town. Everything including blue mansion, clan jetty and street arts are within walking distance. The anglo indian room is spacious with lovely gardern view, staff is helpful, wifi is fasy t, everything is lovely. The only flaw here is it's too close to the bars, so I was very disturbed by the buzzing and live performences at midnight(really its 0:00 in the night) , just could not get to sleep at all. But this situation only lasted for one night, the next night was peaceful. If you enjoy night life and history feeling, this is the right place to be! We stayed at the Indian Shophouse and the children loved the loft where they slept. Well located in the heart of street food and street art, good cafes and restaurants. It gets to be a bit noisy at night as our room was located next to a small lane but it was okay. Highly recommended. The staffs were really helpful and awesome especially Encik Redho. We were welcomed with refreshing drinks, while our luggage were brought to the room. The Indian Shop House is superb! The decoration and detailing are nice, with the uniqueness of art work and antiques. Each floor has own bathroom which really convenient for us, the amenities provided were satisfying. With a view of beautiful garden, we just LOVE it! Just a food for thought - breakfast served were too light for locals, and there should be plenty of parking reserved for in-house guests. The whole hotel is gorgeous, from the entrance to the lobby to the rooms. Everything was nicely curated and well designed. Staff was friendly, it also helps when there’s not many guests, so they can spend more time with each guest. Hotel is near Chulia street, where most of the street art are. Love lane is also a good place for bars, restaurants and street food. Would recommend guests who likes to do walking trips to start off from this lovely location. This was our first time staying at 23 Love Lane. It is a well-renovated heritage hotel with great atmosphere. Each room is different and quite nicely decorated. Everything could have been a bit cleaner (some aspects were a bit too "heritage") but the beds were clean and the bathrooms were big and with nice fixtures. AC worked well. Staff were friendly and helpful. 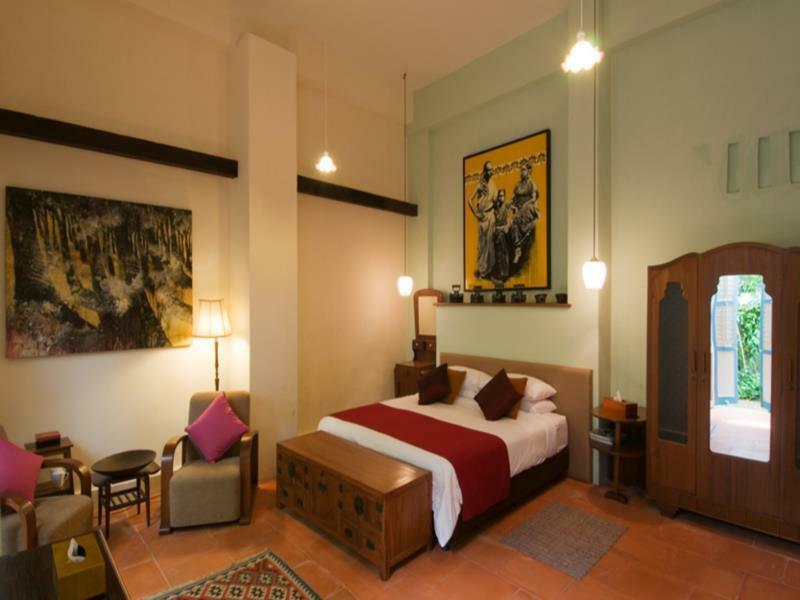 Main attractions of this hotel however are the excellent location right in the middle of old Penang and the nice way they have achieved the character and feeling of old Penang. Would definitely stay again. 23 LoveLane really caught me by surprise. I didn't expect it to be like a mansion whereby u live in 1 of the huge room with huge bathroom. The room is big and they serve breakfast and tea break too. The staff are helpful and friendly.. Will consider staying here if visit Penang again. This hotel was really beautiful. We got an upgrade but I assume all rooms were as beautiful and well appointed. Location was wonderful. There's no swimming pool, but you are kept busy during tea time as there'll be fruits, drinks and local sweets for you to enjoy in the afternoon. 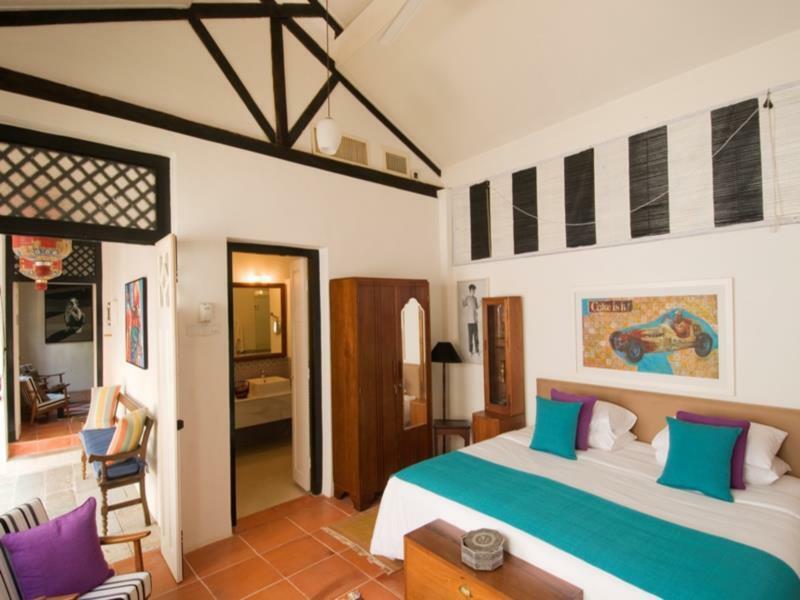 Boutique hotel with a traditional feel to it. Room was comfy and clean with a spacious bathroom. Meals served were great and staff was very friendly and helpful. The only issue we had was the room we booked was the Jackroof 2 and it was situated directly next to the street adjacent to Love Lane and was quite noisy at night when we tried to sleep as we could hear the motobikes tearing down the street. I was there for 3 nights with small children. We were accommodated so well. We have the rooms on the ground floor which made us feel like we have that whole section all to ourselves. Love the complimentary afternoon tea with local snacks. Breakfast was awesome and well mixtures of local and western food. The location is excellent. It isat the end of the street which makes it more quiet at night from all the bars noise at the top of the street. But it is at the small intersection which make it an easy access to all the major sights. I would definitely come back again and again! First of all, I would like to say that if I can give 10 star-rating to the staff, I will definitely give them 20 stars for being super amazing during my stay. Everyone was super friendly and courteous unlike the 5-star hotel I stayed in Batu Ferringi. They are super helpful and professional even though this hotel is just a 2 star hotel. I felt the staff was very well-trained. No wonder the rating remains high despite the hotel have been established more than 5 years. When me and my friend arrived, we were served with this delicious welcome drink that will definitely makes you crave for more and that moment I already knew that this hotel gonna get the perfect 10 score from me. I super love the interior of the room and the hotel landscape. I didn't regret choosing this hotel at all. All part of the hotel exterior is instgrammable. The hotel is well maintained except some part of my room I found was dusty (very minimal) but definitely forgivable due to their staff attitude. 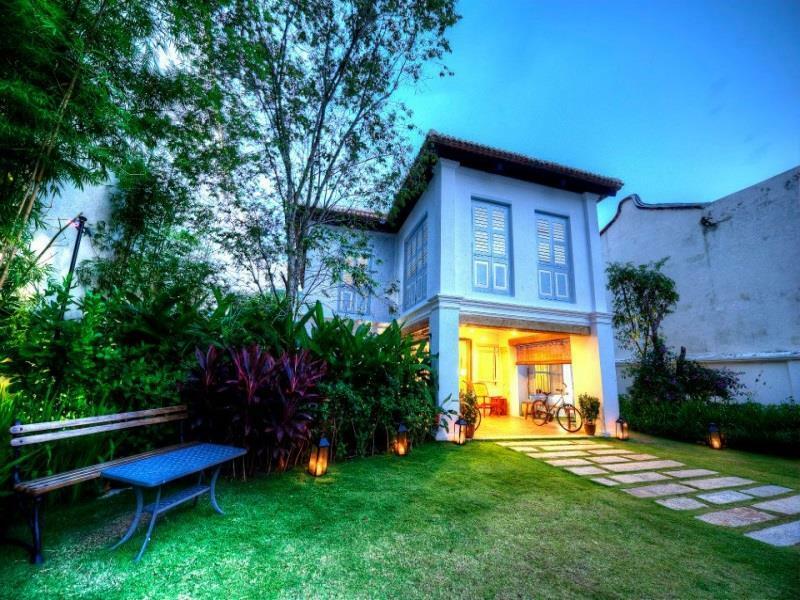 23 Lovelane Penang has independent residence in the shape of a pre war heritage house, right in the heart of Georgetown. I stayed in one of these pre war house, that has 3 rooms. Perfect to soak up the experience of old world charm and the house is equip with full amenities of a how a comfortable home should be. Good location, beautiful exterior and interior. Very loud, and stinky rooms. Especially room #1 stinks quite strong. (Burned Material or cole) even all our stuff which we just had in our suitcase still stinks after a couple days. Very disturbing also during the night. Also very noisy. One of the best hotels I have ever stayed at. A beautiful, small boutique hotel. Perfectly decorated and laid out. Spotlesslessly clean with lovely complementary toiletries. Very friendly and helpful staff and a delicious breakfast. Would definitely stay there again. Overall it brought me back to the time i stay in my grandparents house with their tall ceiling and whirring ceiling fan above that gives you comfort. previous review about staff walking into your room was pretty true and sometimes embarrassing especially when you are half naked. But the staff didn't seem bothered by it and just went about their task as the servants of old where they walk around putting down coils and fragrance. Afternoon tea was a delight and the staff was very helpful in all aspect, only complaint was the difficulty in finding this hidden spot.